You can easily get your desired image from the Internet, but the question is, “Are they safe to use on your article?”. The answer is no. The images over the Internet are come with a copyright permission. Without the permission of the owner, you can’t implement them on your article. Having a credit of the owner, you can use an image without copyright issue. If the picture is your own, then you can use it without any issue. Besides this, there are many images over the Internet that are in public domain, or licensed under the Creative Commons license, can be used without any permission. 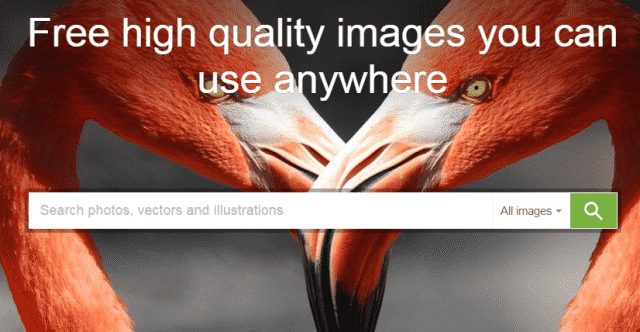 The question is, where to get free high-resolution images without any copyright issue? In this article, I want to give you a couple of recourses or couple platforms, where you can download royalty free pictures for your article. Everyone knows about Google’s image search. There are millions of images are available here, but these images are not free to download. Means, they are not royalty free. The Images show up in Google search, doesn’t mean that copy them and paste them on your article. If you want copyright-free images from Google, then you must have to filter them as your required. In Google Image search page, click on “Search tools” and choose an option from “Usage rights”. If you are sailing any product or your article, then select “Labeled for noncommercial reuse with modification” or “Labeled for noncommercial reuse”. If you want to give the article for free or use a picture on your website/blog then select “Labeled for reuse with modification” or “Labeled for reuse”. Pictures within the reuse labeled is free use anywhere, without any copyright problem. Pixabay is my favorite website, which comes with a simple interface and variety of high resolution images for personal and commercial use. All the images on Pixabay are available under the Creative Common license and thus can be used anywhere. In here you can browse your images by photographers or camera model. BigStockPhoti is a directory of royalty free pictures. This website offers a 7 days free trial for a certain amount of pictures, but if you want to download above the free trials’ limits, you will have to use a paid registration. With the unlimited free trial offers, you can download 1 picture per month. On ShutterStock, you can download pictures without any type of subscription, but they will have a watermark, and that is unattractive. To remove the watermark, you must have to subscribe their plans. There is a variety of high-quality wallpapers are available here to download. Google Image search and Pixabay are good, but they always not provide many varieties as you required. If you want to put more shine to your article, then you may choose the paid one like BigStock and ShutterStock.